HAVANA, Sep 7 2018 (IPS) - Eastern Cuba has suffered drought since time immemorial. But the western and central regions of the island used to be almost free of the phenomenon, until the latest drought that plagued this country between 2014 and 2017. “For the first time drought is seen as a major threat, due to the magnitude of the economic impacts it caused,” agronomist Loexys Rodríguez, who in the eastern city of Guantánamo promotes and carries out research on resilience in the productive sector in the face of drought, told IPS. Over the past four years, Cuba has faced the most extensive drought seen in 115 years, affecting 80 percent of the country. Prolonged rationing in the residential sector, with the suspension of water supply for up to a month, caused serious social upheaval, while economic losses amounted to 1.5 billion dollars, according to official figures. All regions, especially the central part of the country, were ravaged by the so-called “silent disaster,” because it advances slowly and almost imperceptibly. Latin America has suffered the worst droughts in its history in this century and the subsequent loss of income was four times more than that caused by floods, warned the World Bank, which even called for thinking about a new economy in times of scarcity and variable water supplies. Brazil, Chile, Guatemala, Honduras and Peru are among the countries in the region that have experienced the most severe dry spells so far this century, considered part of the effects of climate change. According to the World Bank, in general terms, this phenomenon has a greater impact on Caribbean island nations such as Cuba. 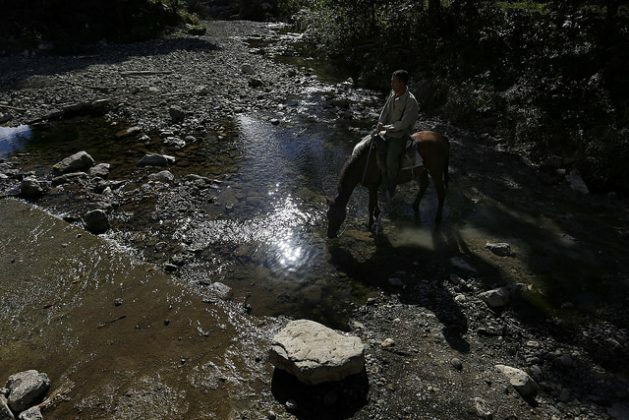 “It has been demonstrated that these droughts are recurrent, that we are practically living with them,” Rodríguez warned. However, “not all elements of resilience are being given the same level of priority or national scope,” the expert warned. Because they are the most frequent and dreaded phenomenon in the Caribbean, especially in the islands, hurricanes capture all the attention of the national disaster response systems. Associated with cyclones, the concept of resilience began to be used recently in Cuba’s disaster response system. With respect to the environment, this term refers to the ability of a community, economic activity or ecosystem, among others, to absorb disturbances such as the onslaught of weather events without significantly altering their characteristics of structure and functionality, so as to facilitate the subsequent return to its original state. Rodríguez spoke with IPS after presenting a methodological tool that allows farmers and agricultural decision-makers to easily determine how drought-resilient a farm is, at the 10th International Congress on Disasters, held in Havana Jul. 2-6. The tool is a result of the programme “Sustainable agricultural practices adapted to climate change in the province of Guantánamo, Cuba,” which was implemented in 2016 by local entities with the support of the international humanitarian organisation Oxfam and with aid from Belgium. In addition to a self-assessment guide, the instrument included in the book “Resilience to drought based on agroecology” includes a perception survey of the phenomenon, possible solutions and a set of local agroecological capacities and services to which farmers can turn to in the face of drought. 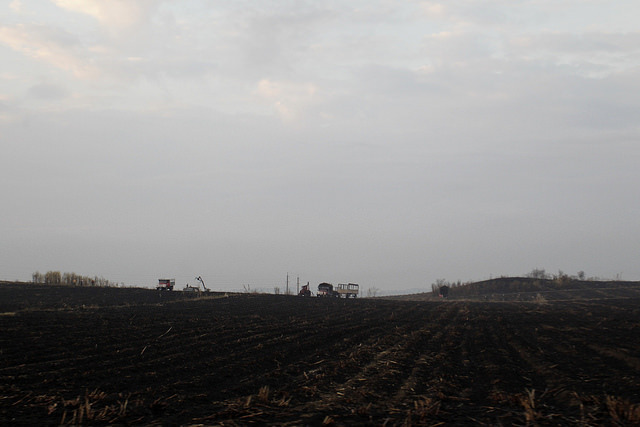 The study, which covered the municipalities of Niceto Pérez and Manuel Tames in Guantánamo, establishes 10 features that farms must achieve to be resistant, proposes 64 agroecological practices for farm management and design, and listed more than 50 entities with innovations, services, or funds to be used. “Droughts are lasting longer and longer, and the duration of rainy and dry seasons is changing,” she told IPS. “It would be very interesting for the country to work harder on the concept of resilience, which allows for the elimination of deficiencies in a proactive way, that is, before disasters happen,” she said. Cuban authorities and scientific institutions are calling for more research and projects to prevent and adapt to drought. “Living in a semi-arid zone greatly limits development, but it gives Guantánamo a potential that other provinces don’t have,” Ángel Almarales, director of the state-run Centre of Technology for Sustainable Development (Catedes), based in the provincial capital, 929 km east of Havana, told IPS by phone. This province of 6,167 square km hosts a contrasting geography: in the north the climate is rainy and tropical, to the point that the municipality of Baracoa has the highest level of rainfall in Cuba; in the centre, the landscape is a tropical savannah; while the southern coastal strip is the only large semi-arid part of this Caribbean island nation. Catedes is a scientific institution focused on finding development solutions for semi-desert area, which means it has know-how that is now needed by other Cuban regions. Its formula, perfected over more than 10 years, includes the use of renewable energies in the fight against desertification and drought. “Our big problem (as a province) is that we still don’t know how to manage water,” Almarales said of the key goal to be reached by the department of 511,093 people in its search for resilience to drought and improving quality of life. Caimanera, a municipality known for adjoining the U.S. Guantánamo Naval Base, is in that semi-arid zone, where economic activities are basically limited to salt production, fishing and public services. “Production of salt continues to be the main source of employment,” said Pedro Pupo, municipal director of labour and social security, during a June visit by international media to Caimanera, where the largest salt industry is located, which supplies just over 60 percent of national consumption. Pupo cited as an example that in the municipal district of Hatibonico, “which is the most aridt area, mainly produces charcoal, because of the climatic conditions.” Also some opportunities were created in the local production of construction materials, he added in dialogue with IPS. However, with the urban agriculture programme that promotes agroecological techniques in urban areas, and production adapted to the aridity of the climate and soil salinity, the local government reports that Caimanera produces 70 percent of the food it consumes. 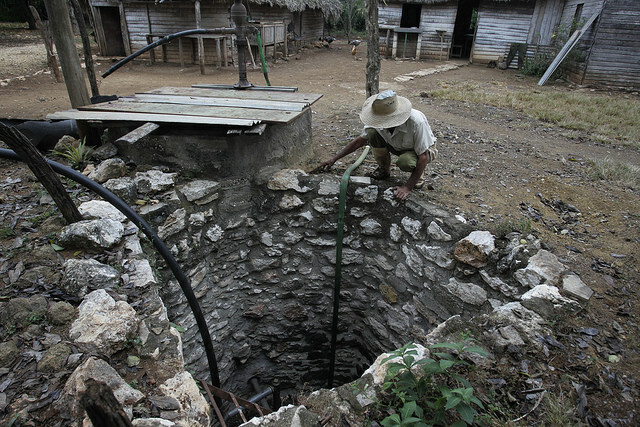 With a rainy season that usually runs from May to November, Cuba has been implementing the National Water Policy since 2012, a programme that depends on rainfall and which uses 60 percent of the water for agriculture, 20 percent for human consumption, five percent for industrial use and the rest for other economic activities.